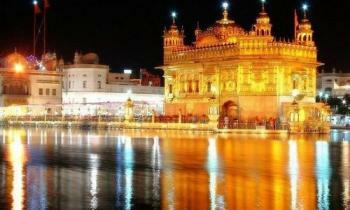 On your arrival in Amritsar, meet our representative and get transferred to the hotel. Later, freshen up and leave for Harmandir Sahib, popularly known as the Golden Temple. In the evening, you are free to spend the time at your leisure. You can try out Amritsari Naan which can be found in the local dhabas and restaurants. Overnight stay. After breakfast, visit Jallianwala Bagh. This historical area is known for the massacre commissioned by General Dyer, during the British Rule. In the evening, visit Wagah border. The guard changing ceremony every evening in the India- Pakistan border is the highlight of the area. By late evening, you return to the hotel room for overnight stay. After breakfast, check out from the hotel and proceed to shop in the local markets. Later get transferred to the railway station to catch the train back home.